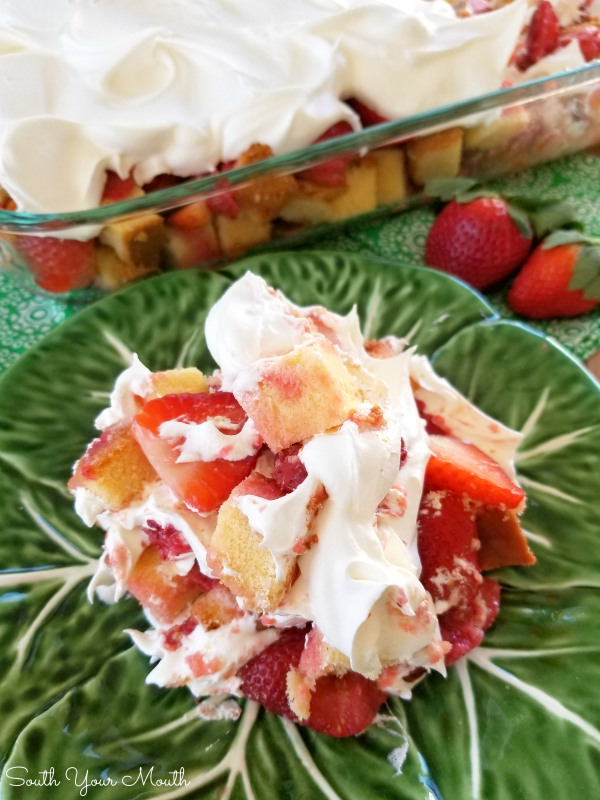 An easy recipe for a Strawberry Shortcake layered dessert made in a 13x9 dish perfect for potluck dinners, cookouts or family gatherings! A couple weeks ago we went to the little country buffet down the road for supper. We always try to go on Fridays because that’s when they have fried fish and hot water cornbread and me and my Brutus love it! After we’d eaten, I was sitting at the table stroking my belly regretting my decision to go back for seconds when something on the dessert end of the buffet caught my eye. I was so full I couldn’t imagine having dessert but I had to go investigate. I don’t often eat dessert when we go there because I always eat too much supper so maybe they’ve been serving this forever and I’ve just never noticed it or maybe it was something new. All I know is it was new to me. Right between the Banana Pudding and the Pistachio Salad was a big ol’ pan of some sort of layered strawberry shortcake looking concoction. Never one to make wise decisions at all-you-can-eat buffets, I spooned some into a bowl and tried it. It was delicious! I mean, it was just the basics of any strawberry shortcake (cake, strawberries, sugared strawberries and whipped topping) which is delicious under almost any circumstances but what blew me away about the dessert is how they’d prepared it. 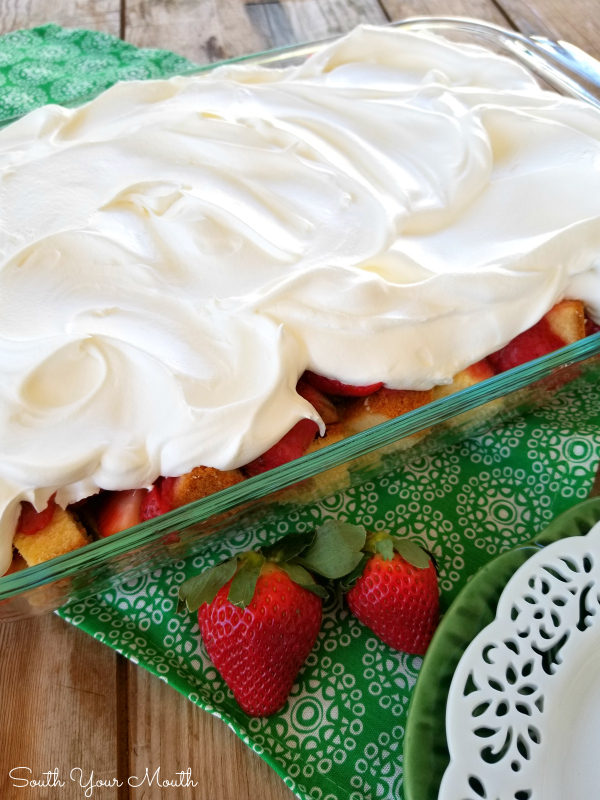 WHY have I never thought to make strawberry shortcake into a big one-pan dessert like this?? 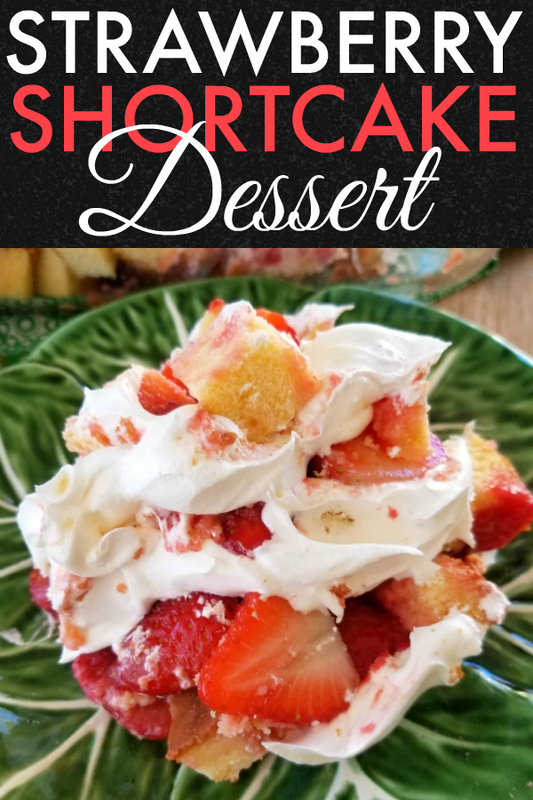 I absolutely love strawberry shortcake, but it can be a bit fussy to serve. You pretty-much have to plate all the servings individually and ain’t nobody got time for that. A 13x9 dish means casseroles or desserts to me – both of which always make me happy! A 13x9 dish means church fellowships, family reunions, cookouts with friends and holiday dinners. A 13x9 dish is the pyrex equivalent of a hug! Mama was coming over for Sunday dinner – which got ruined because we couldn’t tear ourselves away from the end of the Saints game and then it went into OT and I overcooked the London broil which didn’t make the end of that game taste any better by the way! – so I decided to make the strawberry shortcake dessert we had at the restaurant. It is so easy and so delicious! 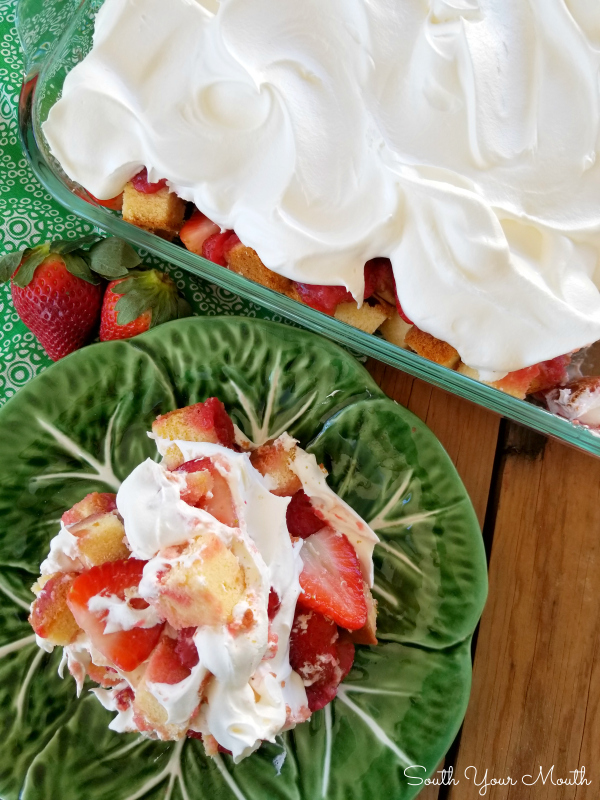 It is a brilliant way to serve strawberry shortcake for the whole family and I will definitely be taking this with me to the next gathering I attend! I think I want to try this with peaches too! Yummy!! If you’re in the area, the buffet we go to is called Carolina Buffet and it’s located at 3122 Platt Springs Rd in West Columbia, SC. There’s nothing fancy about it and it’s not one of those places that have 40’leven dishes on the buffet every day but the food is always good and so are the prices! 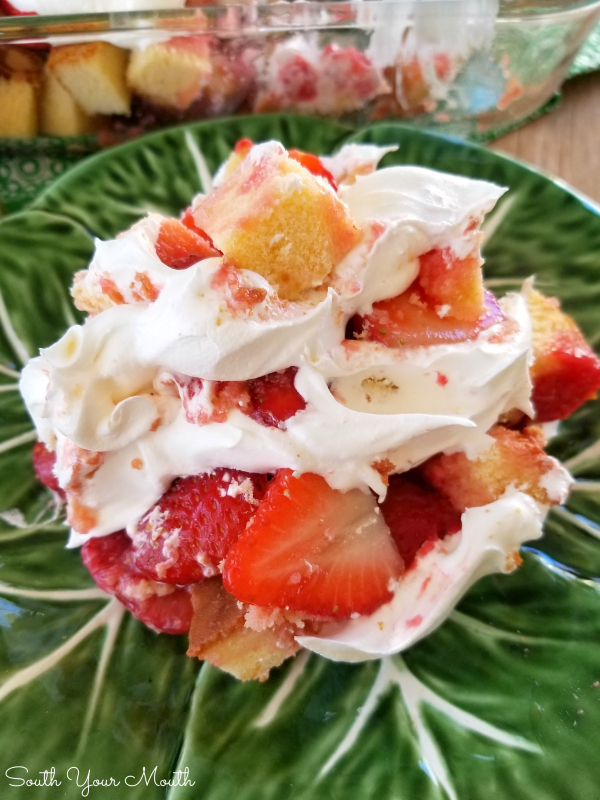 Thaw frozen sliced strawberries (which I will refer to as ‘strawberry sauce’ throughout the rest of the recipe so not to confuse them with the fresh strawberries), cool whip and pound cake (if applicable). Wash, trim and slice fresh strawberries then combine with sugar in a small bowl. Cover and rest at room temperature for 10-15 minutes. Spread one container of the strawberry sauce (thawed sliced strawberries in sugar) in the bottom of a 3-quart 13x9 dish. Cut pound cake into small cubes then arrange half of the cake pieces on top of the strawberry sauce. Top cake pieces with half of the fresh strawberries and the second container of strawberry sauce. Arrange the remaining cake pieces and fresh strawberries over the contents of the dish then top with the third container of strawberry sauce. Top mixture with cool whip then refrigerate until ready to serve. Serve within 24 hours of preparing for best results. I cut my pound cake into 3/4" cubes which yielded about 8 cups. I used a Sara Lee pound cake for this but homemade would be DIVINE! To help speed up the thawing out process for the frozen strawberries, I placed the tubs in a big pan then filled it with hot water. OMG!!! YUM! I never would have thought of doing this, and I make my own pound cake, too. Thanks for sharing this scrumptious recipe. I'm making this as soon as I get the ingredients and make my pound cake. Do not leave me alone with that pan, it would not be a safe situation for anyone! Carolina Buffet!! None better! We love it too! Wow, I never thought of doing this either! I love strawberry shortcake but only made it once in my life. Thank you for this! Looks devine. Quick question: Does the "sauce" make the cake soggy? The cake soaks up the juice but it still holds its shape. Hope that helps! You said you use a deep casserole dish. How deep is it and who is it made by? Made this for our 5th Thursday Gospel Sing Potluck. It was snapped up. What a wonderful way to make strawberry shortcake. It will be wonderful for our family get to-gathers. 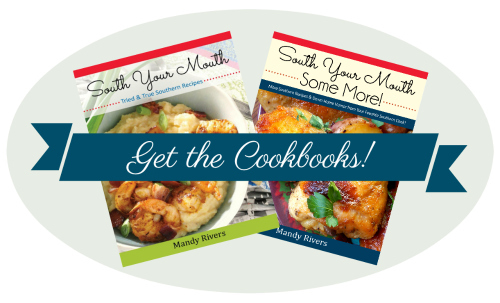 Thanks, Mandy for a great recipe. I love this strawberry shortcake . I also eat it at Carolina Buffet. Can't resist this!! Yum! !